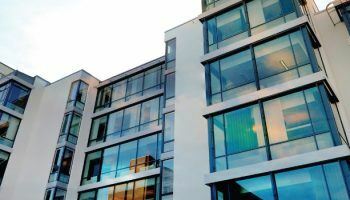 Supply is outstripping demand in the property sectors in Poland, especially in the larger cities such as Warsaw, Krakow, Lodz and Poznan, according to a new market research report. Residential housing projects started during the peak of the property price boom in 2006 and 2007 are now completed, swamping the market with unsold units. The scale of the problems is shown by the number of ready to be occupied properties which developers are struggling to sell, says the Major Polish Residential Markets in mid-2009 report from Emmerson Real Estate. Its research indicates that there are 8,705 housing units which are struggling to sell, an increase of 25% quarter-to-quarter. They represent some 820 projects of which a third are in Warsaw. Oversupply is largely due to much tighter credit with lenders imposing severe restrictions, the report points out. At least 17 residential property projects were put on hold in the second quarter of 2009 and there has been a rise in cancellations. Deputy director of research Marcin Plaziñski said there have been two responses from developers. Some put projects on hold while others are offering discounts and extras such a free appliances and furniture. The report predicts no immediate change in the state of the property market despite the Polish government introducing a programme of preferential loans aimed at stimulating the sector as it only available for the cheapest and smallest properties. The weak performance is very likely to persist through the rest of 2009 with property prices continuing to fall into 2010, the report concludes. But the economy is expected to recover in 2010 with a 1.3% expansion, after a 0.8% contraction in 2009. but high unemployment and low wage growth means that demand is likely to remain low. Another agent, Olimpia Bronowicka, of Warsaw based Maxon Real Estate, said that enquiries from foreign property investors have dried up. Warsaw had attracted a lot of interest from English, Irish, Spanish and German property investors who have all but disappeared since the economic crisis began. Is the Chinese property market too crowded?